If you haven’t yet read our previous blogs in this series: The right time to move into care, Your care options explained and Needing care? What are the key steps you should take? check them out, they will help you gain a complete picture of the process of a move into care, leading into this article. Now the research has been completed and you have your short-list, the next step is to choose the ones which look most suitable and plan your visits to view them. It is always a good idea to turn up unannounced, as this means that you will be seeing the home in its everyday state, which will give you a better feel for the quality of the care and its environment. But, before you go, consider the information you need to gather, information which will help you make the very important decision on which home will be able to provide the right care for a loved one. Don’t be afraid to ask questions, in fact, take a checklist of things you want to find out, so you get the same information from each of the homes you visit. What’s included in the fees and what are ‘extras’? In many cases, the weekly fee isn’t all inclusive. It is standard practice to charge for “extras” such as trips, toiletries and hairdressing. Some homes charge for vital equipment required for medical care. It’s important to know exactly what you’ll be charged for. What activities are on offer? It is a regulatory requirement for care homes to provide activities for residents, so make sure your chosen home does this. You should also ask about the type of activities offered. There should be a range of meaningful activities that stimulate residents. Many homes have activity co-ordinators who are there to make sure residents are enjoying themselves. How often do residents go outside and exercise? Fresh air and getting out on day trips will have a positive impact on a resident’s happiness. Will there be TV and internet? Knowing whether people can have a TV in their room may be very important, along with internet access. Some homes offer wireless internet access only in communal areas, so check the policy. What is the food like? A varied, nutritious diet is very important in protecting older people against a whole range of age-related conditions and a good meal can also bring a lot of enjoyment. Check how often the menu changes. When can I visit? Most residents look forward to receiving visitors, so visits will be an essential part of your relative’s stay in a care home. Most good homes should allow you to visit at any time, within reason. However, some homes may have fixed opening hours so check the policy. Can we bring our pets? Pets can be a lifeline for many older people, so knowing a care home’s policy on animals might be important. What’s the ratio of staff to residents? Check this for both day and night. If staff are rushing from bed to bed it isn’t a good sign that your relative will get the care they need. Check exactly what you will be charged for if your relative passes away. What is the notice period? Sometimes, even if you took all the necessary steps to choose the right home, your loved one may be unhappy. In this case, you may want to move them, so it’s vital to know how much notice you will need to give and how much you will be charged. Sometimes personal circumstances will force a change of home. For example, a resident may develop dementia while in a home that isn’t equipped to provide that type of care. It’s important to know what the process will be. Here are some useful points to consider when you visit your preferred homes. Visit a number of homes before making a final choice. Spend enough time in each home to get a good idea of what it is like. Via your Care Home Finder Report, you will have already seen the most recent inspection report for the home. This will give a lot of detail on how the home operates, but note any comments that are included and question the manager, or key person who is showing you around, on any aspects that you are unsure about. Unless it isn’t possible, visit the home with the person who needs the care to see what their reactions are. do the residents appear happy and responsive? are they properly dressed and well-groomed? do they seem alert and interested? are they involved in activities or chatting? are they encouraged to do as much for themselves as they can? is the home accessible, is there a bus stop nearby? can visitors get to the home easily and are there shops, a pub or a park nearby? are residents able and encouraged to bring in some of their own furniture and possessions? are the bedrooms well decorated, bright and welcoming? can residents go to their rooms when they wish to be alone? do staff respect the right to privacy and knock on bedroom doors? are there enough toilets within easy reach of the bedrooms and living areas? are staff trained to spot the signs when someone needs to go to the toilet? watch the staff to see whether they are cheerful and tactful about helping residents use the toilet and changing them if they are incontinent. The answers to all these questions should be yes, but it doesn’t hurt to check. are chairs arranged in groups to encourage talking rather than placed in a circle round the outside of the room? is there a TV or radio left on when no one is watching or listening? is there more than one room where residents can sit or where they can be quiet or see visitors? is there a garden where residents can walk safely, as access to gardens or outdoor space is significantly associated with easing symptoms of depression? ensure that there is good communication between relatives and the home and that phone calls and visits are encouraged. are visitors encouraged to take residents out or join them for a meal? are there opportunities for residents to help staff with small tasks if they wish? are trips and outings organised and special events celebrated? are residents encouraged to take exercise? are residents able to choose and listen to a variety of music, or keep abreast of current affairs when they feel like it? do staff seem friendly and caring towards residents or talk to them while they are helping them with physical tasks, such as washing and dressing? do they have any training and experience in dementia care? do they know about residents’ backgrounds, habits and interests? does the manager have a friendly manner with staff and residents? do they answer your questions openly and seem to understand your concerns? Check what happens if residents are unwell or need medication. Can a relative stay overnight if necessary when a resident is unwell and are changes in medication discussed with the family? What happens if a resident’s condition deteriorates – can they remain in the home and if not, how are alternative arrangements made? 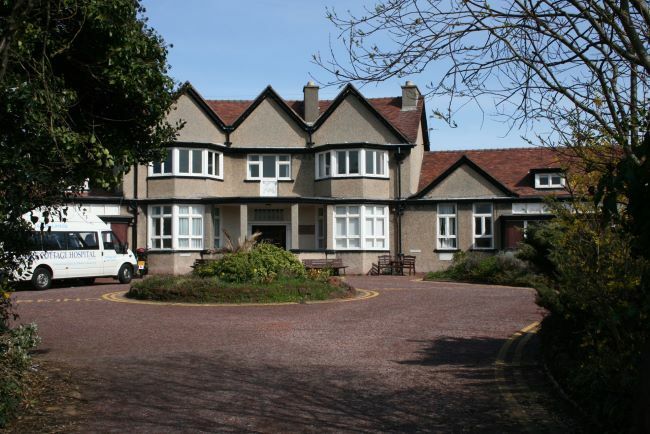 If your loved one wants to see what living in a care home is like, it might be possible to arrange a trial stay. Everyone is different, so only do this if you think they would understand the reasons for the visit and benefit from it. If you’re interested in this, ask if it’s possible when you visit. Another alternative would be to arrange a short-term stay for respite care to give you or another carer a break. This could be a good opportunity for your loved one to see what it’s like to be in a care home, even if it’s only for a week or two. check regarding the care plan, what is included and how you will be notified of any proposed changes to it? obtain a copy of the home’s contract or a statement in writing. Seek advice from a solicitor or citizens advice bureau before signing any agreement. be clear about what is included in the weekly fee, what may be charged as ‘extras’ and how much notice is given if fees are raised? agree the date and time of the move and have the home confirm that all their arrangements are in place to make the transition as smooth and stress-free as possible. Whilst there does appear to be much to consider and much to do, with a little forward planning, the process will be much easier. If you do have any questions about any aspect of this blog, please either contact us here, or telephone on 0345 853 0300.